This world is consumed by social media because social media is consumed by the world. Whatsapp, Facebook, and Insta – how much can we really do without our favorite time kill?!! Social Media just takes our need for approval and affection to another level. The constant Hunger for likes, follows, hearts and thumbs ups is incessant. High Definition pictures, witty quotes, unusual content – we’d love to hit the next hundredth like with our content. In this race for being liked and loved, somewhere, we step way beyond our skin, and exhibit ourselves to be someone else – something our lives are not, someone that we are not! In this world wide web, People like me find a sane spot, a comfort zone by being just ourselves! We Dare to Share what is just everyday musings and shenanigans! But then parenting my twinadoes started to nudge and run for the top spot. Eventually, both of them lost to being my own self. So In this post, I’m kinda going to gloat, or tell you the not-so-cool things about me. Judge me if you like, I dare to be myself, social media, or not!! 1. I Dare to be body Positive. A lot of people don’t get body positivity right. Body positivity is not about “being OK with being a certain size”. Certain Body sizes are not healthy. I’m obese and I’m well aware of what a disaster it causes in my everyday life. There is a constant pain in the body, regular wardrobe updates because size keeps going up and down, the pain of controlling your food habits, or, gaining back weight. Nope, that’s not body positivity. Body positivity is to strive to reach a body size that makes you feel fitter, healthier. Body positivity means that while you strive to get to that size, you don’t hate yourself in the current body. The body you want is going to come from the body you already have. How can you make something you will love, from something you don’t love?!! That, precisely, is body positivity. I have made several attempts at weight loss. Succeeded at most of them, then gained weight back and sulked. Then picked up my pieces, tried and succeeded again. It took me way too long to fall in love with myself. And now when I have, I don’t and wearing a skirt if I think I look fine in it, irrespective of the digit that prefixes the XL. I sometimes use torn and broken things, and sometimes do without them completely. I never get breakfast in bed, hell, there are days I wished someone brewed a cup of tea for me but, that is that! I like to keep it real. Broken, torn, tattered, sad, unhappy – My posts are what I feel like. And it’s just not about y social media, even as a person. if I’m upset, I’d rather close myself than to say rude things to people. The Montessori school of activities, or the early learning fundas. Gentle parenting, or no Screen time styles, I don’t follow suit with all of them. Most days I’m just struggling to get through the day. I’m way too lazy to be craftsy or to have a spotless home. strewn clothes, scattered toys, me without makeup – or even undone eyebrows, kids in a vest and days of outbursts – my posts dare to show glimpses of my reality. Have you ever noticed them? When my kids were born, I knew I was supposed to be happy. But if you genuinely ask me, I wasn’t. It took me a good 6 months to fall in love with them and of course, now I’m head over heels. There still are days when they are just a handful. There are days when they absolutely tick me off and I’m hurting badly. There are days when I yell and roar like an animal and still see no difference on them, so I give out a whack and now since they are growing, that also fails. But I live through my days. I apologize, I feel guilty but I pick up my pieces and ask for forgiveness. I dare to love my children and forgive them every single day. They are my lifeline but I will do whatever it takes to fix them and to fix myself. ” A young couple, asked a senior couple on their 50th Anniversary: You two still seem in so much love. How do you continue to stay in love after so any years?! This message stuck to me forever. That’s what I think when a relationship gets really stressful for me. I ask myself, is it so cheap that I could break it? Or I should strive harded and try to fix it? Most of the times, my answer is to fix it and so , I do! In this world of social media, our friendships have changes face forever. We make and break relationships well over a piece of written text. I have, for sure made and lost tons of friends, but to lose even one of them still kills me. I always strove to keep them, try not to react unless something has been biting me. I always ask, what’s the matter? Is something wrong? Because it always helps to chat and discuss than to assume and just shut yourself. I am blessed with friends who also value friendships, who don’t think that deleting one name from the phone will end it all. Who yell and then apologize, just like I do, It means a lot to me that we stick together, and it does not bother me that we fight because, at the end, we all prove that we love each other. Blessed, Ain’t I?! So these are some very simple Dares that i take in my everyday life. You don’t have to be a daring hero, you just have to have enough Dare, enough courage to not succumb to peer pressure, not conform just because you have to, and not love just because you are supposed to. My every day is filled with these little bits of courage and valor, and I feel extremely proud that I can stick my ground, despite all that it asks. If you loved reading this article, don’t forget to SHARE it ahead! Do drop me a comment about what you liked, or did not like about the article. If you think this was a bit gloating – haha, do tell me! It is one of the hardest things to come out truthfully and without any “filters” in today’s time and age, to succumb the pressure of the perfect hair day every day on the platforms is stressful as well as harmful to our very own being. Great perspective. Love this one… We usually pretend to be someone we are not on Social media.. I think Dare to be one’s own self and not pretend is a biggest dare these days and I can vouch that you are rocking this dare!! You are truly an inspiration and I am glad to know a person like you.. When we are webbed in social media, an unnamed pressure we take to be the prefect one. While perfection never exists. Prisha, when you present your view on body positivity to parenting funda, you are showing mirror to many, including me. Totally loved this take. Prishaaa… Sorry for commenting late, was a bit caught up over the weekend. But yes, this is exactly what I was talking to you about the other day. to be REAL you on the social media and thats what i love about your posts. so genuine, i hope i learn that from you. 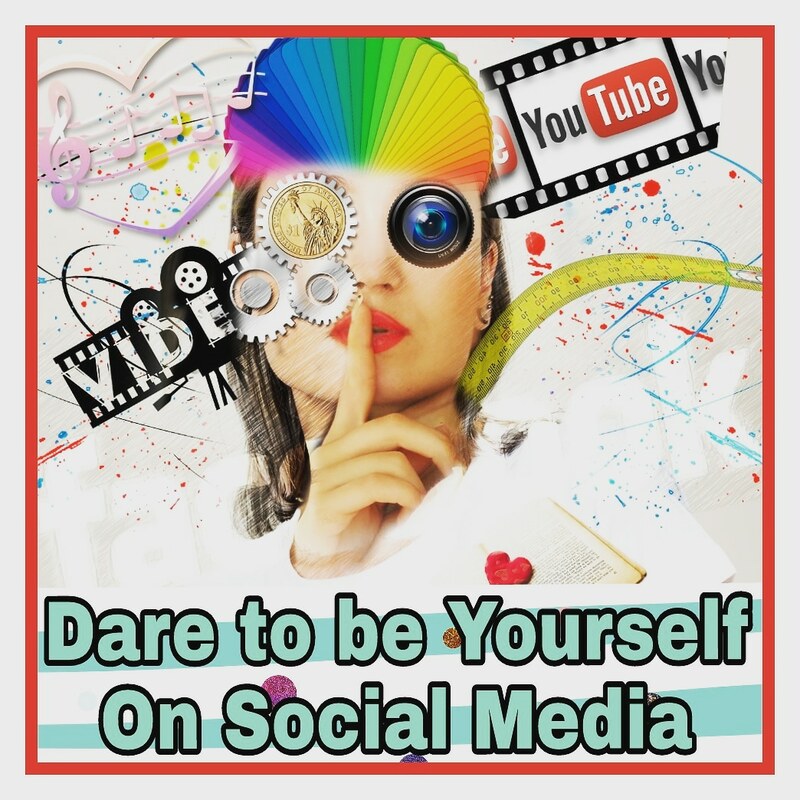 Social Media has indeed become the second mirror where we want to see ourselves daily and just like the mirror we are constantly looking to check our look. Here we are constantly looking to check our digital quotient. It is a vortex and if we are not mindful we are sucked into it and we then get our mind, the controller hijacked. It is all about the way we look at ourselves, and it is outlook that matters in making us who we are and how the world around us perceives us. The inside of us is the steering that governs our outwards growth…and we need to recognize that and periodically disconnect with the digital world and connect with self.